I recently came across a research study about how low Socio Economic Status (SES) increases the incidence of perinatal mood disorders. To summarize the findings succinctly and predictably, women who have fewer resources in the perinatal time have a higher incidence of Perinatal Mood And Anxiety Disorders (PMADs). It makes sense- the woman who is unemployed or has no partner, the woman who is losing her house when her twins arrive or who knows she doesn’t have funds to buy diapers for her baby, the woman who has no medical insurance to pay for therapy, the woman who has no car and can’t afford transportation to her doctor’s office… it makes sense that these women would have a harder time adjusting to parenthood and that their mood disorders would be under reported and under treated. It’s easy to say “Here’s a support group”, but how does a mother with no transportation and three older children get there? It’s easy to say, “Seek counseling”, but how does a woman with no insurance afford $100 an hour sessions? It’s easy to say “Go for a walk”, but how does a woman living in a dangerous neighborhood with no sidewalks do that? I’ve written about PMADs here and here previously. I’ve had PMADs myself after each of my children were born. I remember having the full support of my husband, his well-paying job, our health insurance and easy transportation for support. I had plenty of resources to handle my symptoms. For any who CAN enlist the support of professionals, please do so as soon as you realize you are not feeling right. Timely and comprehensive treatment can ease symptoms and shorten their duration. Use distraction: Watch your favorite show from beginning to end on Netflix. Read trashy novels. Surf Facebook. Watch silly cat videos on YouTube. Read articles on Cracked. Whatever little distractions you can give yourself, go for it. And don’t feel bad that you haven’t moved from your bed all day except to grab some food and extra diapers. You are getting through today and that’s what’s important. Use rational self-talk: When you are in a situation where you are not yourself and everything feels awful, use positive talk. Remind yourself that you have not always felt this way and that YOU WILL NOT ALWAYS FEEL THIS WAY. These feelings of depression or anxiety WILL lessen and you WILL be yourself in time. It may help to say, “I am FEELING depressed today”, instead of “I am depressed”. Knowing that your painful feelings are not YOU can help you have patience with yourself. You will feel better. Things will get better. Eat as well as possible: I am not going to tell you to cut out the sugar, avoid wheat or stop drinking caffeine. While it’s true that there are many mood issues that might be traced to diet, it’s unlikely you will have the energy or resources to overhaul your eating habits while handling a PMAD. Instead, make the best choices you possibly can within your current diet- Eat vegetables every day. Drink water and stay hydrated. Try to eat a variety of things throughout the week. This may be difficult if you are completely on your own- it may be easier to just eat whatever is easiest to prepare. But if you have a choice between two things, eat the healthiest thing first. If at all possible, take a daily multivitamin to help make up for whatever essentials your diet might lack. Focus on sleep: For many new mothers, the sleep interruptions that come with caring for a baby 24 hours a day can exacerbate your mood issues. Try to stay in bed each morning until you feel rested. Just because it’s 7 am does not mean you have to get out of bed. Sleep as much as you need to feel rested. It may be hard to balance your need for sleep if you are experiencing depression because depression often leads one to want to sleep more than is necessary. Try to allow yourself to get the sleep you need- lack of sleep can make PMADs worse. Get out and move: Just like the impossible diet overhaul above, it’s unlikely that you’ll have energy to create a new mom workout routine while struggling with a PMAD. Even if you can’t get motivated to actually work out, try to move- go for a walk if you can (the sun and wind can be very healing), stretch, do whatever you can even for ten minutes to get your blood pumping and to break a sweat. Try to be out among people- visit neighbors, friends, family. Create a routine where you go see certain people on certain days of the week. Even if it’s just a daily walk to the corner store to browse, speak to others, to smile, getting up and out can help support your mental health. Take time for you: If you have a partner or friend who can attend the baby for an hour, take that time to pamper yourself. Take a shower, paint your nails, tweeze your eyebrows- do whatever makes you feel good in your skin. If you don’t have a partner or someone to watch the baby, do this anyway! Place baby safely in the bathroom so you can attend to you needs and go for it. A ten minute exfoliation of your skin might help you feel better- don’t underestimate the power of simple things! Tell someone: The early postpartum can be incredibly isolating. You are tired from lack of sleep, you can hardly find time to shower, you are constantly adjusting to your baby’s needs and it can be really hard to find a way to fit ‘hanging with friends’ into that schedule. Especially when a mother is suffering from a mood disorder, the energy needed to ‘be friendly’ can be more than she has to give. But a good ‘talk session’ with a friend can also relieve some of those feelings of sadness and isolation. Reach out to a friend, if you can. Choose someone who is likely to be gentle and to listen without judgement and a long list of ‘shoulds’. What you need is someone to understand, not to try to fix everything. Being really *heard* can be healing. 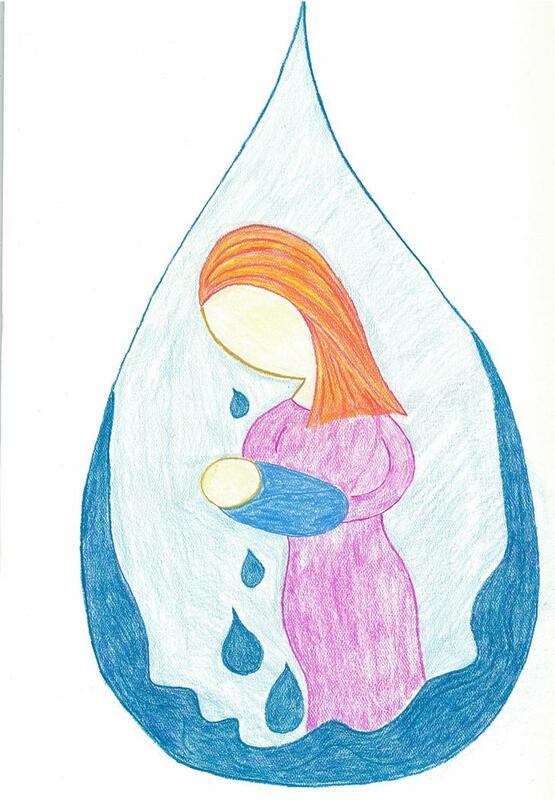 Remember you are not alone: Many, many mothers experience a PMAD. You are not a bad mother. You are not weak. You are a normal, loving mother with strong, changing hormones facing a tremendous amount of change in your life. It’s actually pretty common for average women like you and me to experience challenges when moving into motherhood (for the first or twelfth time!). Be gentle with yourself and know that you are walking the same path that others have walked successfully coming out on the other side healthy and whole. None of the tips listed here are magic- none of them can replace dedicated, expert care. But for the mother who truly lacks resources to access support groups, counseling, medical care, etc. some of these tips may help you get through those difficult days. Things *will* get better. 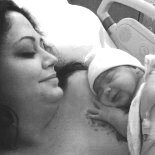 This entry was posted on August 25, 2014 by hearthsidematernityservices in Health, Postpartum and tagged anxiety, depression, Mood disorder, postpartum, postpartum mood disorder.